Our FREE plug-in allows you to process credit cards directly from within QuickBooks. Plus save money by not having to use Quickbooks Merchant Services! The QuickBooks Merchant Account Plug-in allows you to process all major credit cards directly from within QuickBooks! This is a simple PC-based solution and requires no additional equipment. The plug-in works with all versions of Quickbooks® Pro, Premier, and Enterprise, 2005 – 2010, and is available from Merchant Accounts Express. Simply select \’Receive Payment\’ from within your Quickbooks software, choose the customer and the outstanding invoice(s), and enter the credit card information (either manually, or with an optional swiper). The credit card is then securely processed over the Internet, and payment is recorded within Quickbooks and automatically applied to the related customer, invoice(s), and accounts. There is no need for you to enter any additional information since the processing of the sale and bookkeeping is all done in one easy step, through your merchant account! This saves you time and simplifies your accounting. 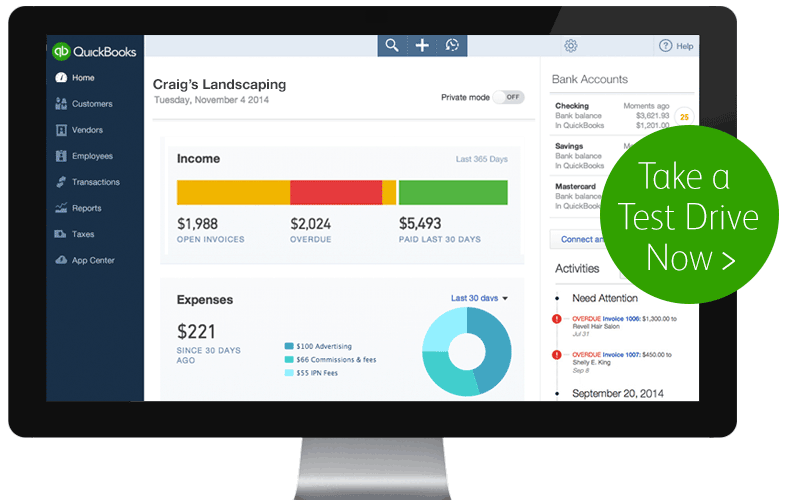 You can also use QuickBooks to handle all your recurring charges as well. Simply setup the billing frequency and payment details in QuickBooks. When payments are due, the system automatically includes them in the batch for convenient processing. Included with every QuickBooks Merchant Account Plug-in is a free Online Virtual Terminal. This allows you to manually enter transactions via a website and process transactions in real time through your merchant account. You can then download these transactions directly into the QuickBooks software using the QuickBooks Plug-in!. If you swipe cards, our QuickBooks Merchant Account Plug-in also works with the Magtek Mini USB Swiper! This swiper connects to and is powered by the computer\’s USB port (no external power supply required). This allows you to have a software POS at your retail establishment accepting credit cards, giving you a complete, low cost QuickBooks retail point-of-sale solution! NOTE:If you will only be processing credit cards via your website using Authorize.net Internet credit card processing, you do not need to use this QuickBooks Plug-in. That’s because Authorize.Net includes a FREE QuickBooks download module that lets you download all your website, shopping cart, and virtual terminal transactions, and import them directly into QuickBooks, for no additional charge. For more information contact us.